You may change your password any time. Just login, click My Home, then click Edit E-Mail & Password. You'll need to type your current password (for security purposes) then you can enter a new password (you'll need to type it twice to avoid typos). If you cannot remember your current password, see the "I lost my password, what can I do?" FAQ item. One of the key benefits of the message board format is that it enables commonly asked questions to be answered once, for the benefit of all. Before posting your question, it is always worth checking to see if it has already been asked -- and answered! You can do this via the Search link near the top of most pages. Various options are available, both for how the search term is specified and for controlling how much of the forums database you want to search. This is where the specificity of topic subjects is important, making it much easier to locate precisely what it is you're after from a list of search results. Click the topic you'd like to respond to. Click the red "Post Reply" button near the top of the window. Type your member name and password address (if you aren't already logged in). Type your message in the message box. Include as much information as possible. Click the "Preview Post" button if you want to see how your post will appear before you add it. Click the "Submit Reply" button at the bottom to send your post. The message board will display the topic thread again, and this time your reply should be added to the bottom. If you don't see it, refresh your browser window. Find a forum that interests you and/or is appropriate to your topic. Click the blue "New Topic" button near the top. Type a short but descriptive subject for your new topic. Click the "Submit New Thread button at the bottom to send your post. Our message board will display your new topic automatically! If you have registered a member name and activated your account, you must login in order to take advantage of our message board's features. To login, look in the upper right-hand corner of your screen for the Log In box, into which you type your member name and password. Keep in mind that the member name and password are always case-sensitive. This means that S and s are considered different by the software. Once you have entered your member name and password, the main index page will appear on your screen. If you have any private messages, you'll be informed of this via a pop-up window (unless your browser is blocking them). The first post of a given topic establishes the subject by which all subsequent replies will be known. Once there's been a reply, the topic subject cannot be subsequently changed. It's therefore important to get the subject right from the outset. Make it as descriptive and as specific as possible. For example, 'IllumiNations Cruise Questions', is much better than something completely generic, such as "I Need Help!" Not only is a good subject line more likely to elicit a response, but it'll also make it much easier for all posts in the topic to be located. Please note that the administrators and moderators (Guides) may change your subject line at our discretion if we feel it is not descriptive enough. 1. Make sure you are entering your password correctly. It is case-sensitive. 2. Completely logout by hitting the Log Out link near the top of the page, and then log back in again. 3. After logging in, you may have to hit the reload/refresh button on your Web browser to expedite the authentication. 4. If these steps don't work you can try purging your cookies from this site here. 5. If you continue to have problems, go to the Lost Password Recovery Form to reset your password. Note: If you keep getting redirected to the "You are not logged in..." page, this may be because your browser is set to block cookies. Make sure your cookies are enabled by following the directions at this page. We encourage our members to include images in their posts and their signatures -- it's fun to see photos of our families, snapshots from our vacations, and creative clip art. These guidelines provide help in including images in your posts and signatures, as well as offer important guidelines regarding the size of the images. If you have questions about anything image-related, please post your question in The Garage (Technical Support) forum. First, you need an image. Images may come from photos you've scanned, clip art you've found online, or graphics you've created on your computer. Your image file should be in JPEG (.jpg file extension) or GIF (.gif file extension) format for the best viewing. These are two of the most common formats, so this isn't generally an issue. Please note that if you want to use clip art found elsewhere online, please be sure you have permission to use it and/or link to it. Not all web sites want you to take or link to their images, as it can slow down their own site considerably. Additionally, some images cannot be linked if they have unusual characters -- for example, you cannot link from Snapfish.com. Pay close attention to the size of your images. If your posts include large images, they can fill the entire screen of a browser window, slow down the message board, and make it harder to read a thread. As a general rule, the best image is the smallest image that shows everything the viewer needs to see in the smallest file possible. We have two different guidelines for image size depending upon where the image is located. 2. Images in your signature cannot exceed 300 pixels tall x 400 pixels wide TOTAL, and cannot exceed 30k total. For example, it's okay to include three small images so long as they fit within a 300 x 400 square pixel area (see graphic below) and the total file size of all the images does not exceed 30k (30000 bytes). 1. If the image is already online, right-click the image and select Properties from the pop-up menu. The Properties window will indicate the byte size and dimensions of the image. 2. Use the My Imager.com web site to open your image from the web or from your computer. 3. If your image is on your computer, open it in your favorite graphics program (we recommend Paint Shop Pro on Windows or GraphicConverter on the Mac). These programs will tell you the size of your image, either in a separate properties window or at the bottom of the window in which the image is displayed. Refer to the program's documentation. How do you resize an image? If your file is under 200k (200000 bytes), the easiest way to resize is to use myImager.com. Just follow the onscreen directions to open your file. Your file is automatically "crunched" into a smaller byte size. You can then use the menus near the top of the window to edit your image. To change the dimensions, click the Edit menu and choose Resize. When you're satisfied with the size of your image, click the File menu and choose Save. The next screen gives you directions on how to download the image to your hard drive -- you can even upload it to your web space if you know the host, directory, username, and password. 1. Go to the My Home link. 3. Follow the onscreen directions to upload a signature picture. In the example above, the code automatically makes the image visible in your message. Note: the "http://" part of the URL is REQUIRED for the (img) code. We recommend you test all images in The Driveway forum while you're first learning how to include images. It's normal to make mistakes in the beginning, and we all goof up from time to time. Don't feel bad if it takes a few tries to get it right. If you just can't get your image to display, post in The Garage forum and we'll all do our best to help you! Please note that we reserve the right to remove any image, even if it is small enough, if we feel it causes technical problems or violates our content or linking guidelines. Note: In addition to these titles, we also recognize members' contributions to our community through our Achievement System, which takes many types of activity into account. Through the Achievement System, you can earn points, redeem them for rewards, and have the chance to get special awards. The tiny icons below the signatures of some members' posts are rewards our Achievement system. Some icons are rewards for accomplishments (such as making 1000 posts), while others are "pixies" to spread good cheer and well being. The rewards are redeemed for activity in our community and may also be gifted to other community members. To see your own Achievement level, points accumulates, and rewards available, go to your profile (click the Your Profile in the My Home section) and click the Achievement tab. With all the names and titles flying around at Walt Disney World, Disneyland, and the Disney Cruise Line, does it come as any surprise that folks use abbreviations? You probably already know WDW, DL, and DCL, but what about CDS or MAoWtP? If you come across an abbreviation you don't recognize, use this handy dandy list to look it up. We've also included some general usage shorthands (such as AFK and BTW), as well as some emoticons (smileys) at the bottom. As for using abbreviations yourself, this usually works best when you spell out the word the first time, put the abbreviation immediately after it in parentheses, and then use the abbreviation from that point on in your message. For example, "We went to Adventurers Club (AC) on our second night — we thought AC was the best club on Pleasure Island!" This helps readers understand your message even if they aren't as up to date on all the abbreviations. If you notice an important abbreviation missing from this list, please contact us and we'll include it. Emoticons (Smileys) - You won't see these old-fashioned text-based smileys too often anymore, but here they are just in case you do! Creation: Only Guides and administrators may create new groups to ensure they meet our guidelines. A good group is one that covers a pretty narrow topic and isn't already represented by a specific forum in our message boards. The idea is to bring together members with similar, specific interests. For example, "Saratoga Springs DVC Owners" is a good example of a special interest group. Moderation: All groups will be assigned a PassPorter Guide who will keep an eye on it and be available if the group members need assistance. We also encourage the person who requested the group to be an unofficial leader to the members of the group, but this person will not have any official duties. PassPorter Guides (also known as moderators) are recruited and trained to encourage other members of the community to contribute to our message boards and/or chats, and to help make our community a friendly, welcoming place. Guides often welcome members and answer questions, and in message boards they may create new topics and post announcements, though there is no requirement that they do so. If there is a problem or concern in a particular forum or chat, the Guide is the person to ask about it. Each forum has at least one Guide assigned to it, and their name(s) are listed in the far right column on the main page, or under the forum name in each forum. 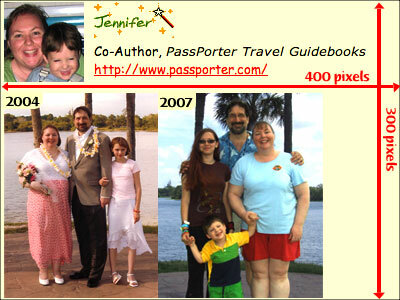 You can learn more about the Guides at our PassPorter Guide Bios forum. Guides may also host scheduled chats, and are able to informally monitor chat rooms during unhosted, open chats. Guides are volunteers, not employees nor staff of PassPorter Travel Press (with the exception of Jennifer and Dave, of course). Guides generously contribute their time and effort to make the PassPorter Community a fun place to be! 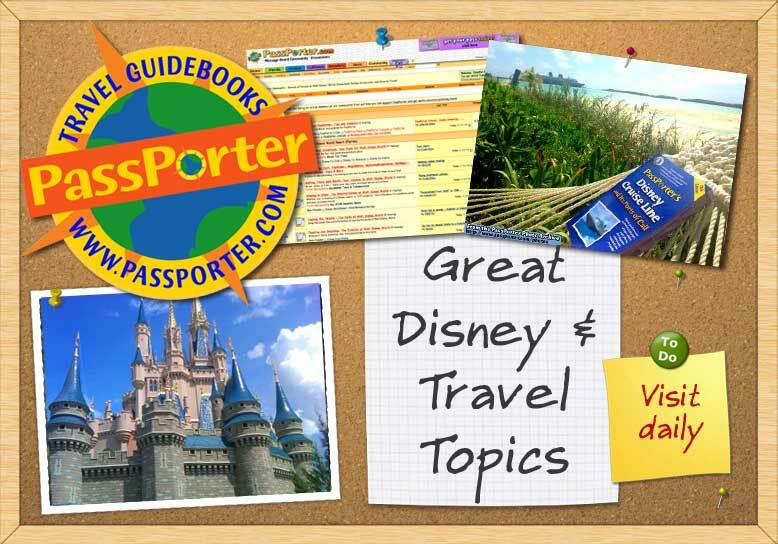 If you are interested in becoming a PassPorter Guide, we ask that members be at least 18 years of age, have at least 500 message board posts to their credit, and have been active in our community for at least six months. A positive, helpful attitude and good communication skills are also needed. If you meet these requirements and wish to become a PassPorter Guide, please fill out the application below and e-mail it to jennifer@passporter.com, sara@passporter.com, and cheryl@passporter.com. Please note that we receive a huge amount of mail, so we may not be able to get back to you immediately, nor can we guarantee a spot as a PassPorter Guide. If you are interested in being a forum Guide (moderator), are you able to check the message boards on a daily basis (barring illness or vacations)? If you are interested in being a chat Guide (host), are you able to host a chat on the same day and at the same time each week (barring illness of vacations)? If so, what days/times work best for you? What forum and/or chats are you interested in becoming a Guide for? Please list your top 2-3 choices. Are you a past or current moderator or chat host on any other online community? Are you willing to participate in and complete our Guide Orientation course? Are you willing to keep in touch with other Guides in our private forum? Why do you want to be a PassPorter Guide? Why do you feel you would make a good PassPorter Guide?